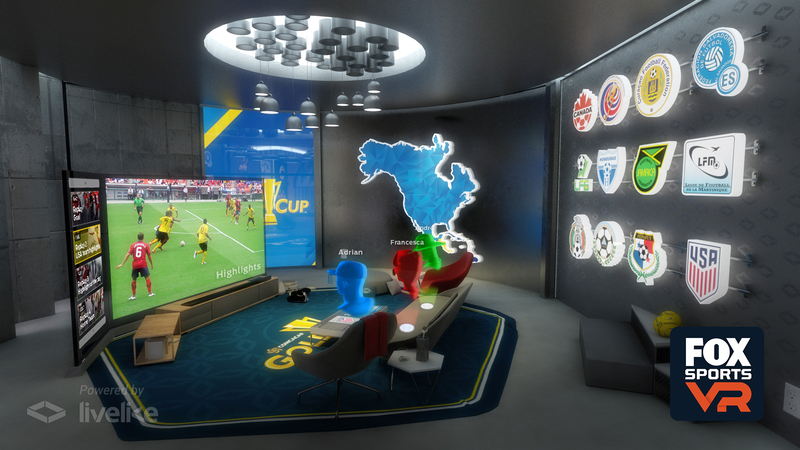 Fox Sports and LiveLike are kicking the social aspect of the virtual reality experience up a notch at his year’s CONCAF Gold Cup. 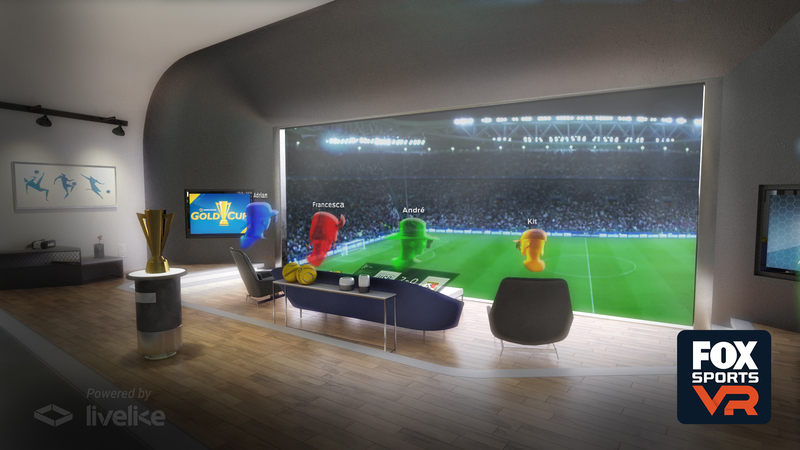 As part of their plans to produce three live Gold Cup matches in virtual reality, Fox and LiveLike will debut Social Virtual Reality – a new feature that will allow VR and 360-video viewers to connect with others via Facebook and allow them to interact with one another inside LiveLike’s virtual-suite experience via avatars and spatial 3D audio. Users inside the Fox Sports VR virtual suite will be represented by avatars. Fox and LiveLike will produce three deliver three matches (sponsored by and presenting Buffalo Wild Wings) in VR – the USA-Panama match on July 8, a TBD match either July 22 or 23, and the Gold Cup championship on July 26 – to the free Fox Sports VR app. During all three live VR/360 streams, viewers will have the ability to recognize each other’s avatars and communicate with one another throughout the experience. In the Fox Sports VR app, users will once again be able to choose between multiple camera angles captured by LiveLike VR rigs positioned throughout the field or simply select a director’s cut that automatically selects the best camera angle for live game action. In addition, viewers will have access to highlights and replays, as well as multiple preproduced, behind-the-scenes, 360-degree features. When entering the experience, users will be able to select a “Social” tab and a “Join Friends” button that connects the user to Facebook upon authorization. At that point, friends who have done the same will appear in the user’s friends list, creating the opportunity to view the experience in a social environment. Additionally, the experience can automatically select a viewing partner at random, with viewers having the ability to seamlessly switch Social VR “on” or “off.” Once inside the virtual suite, each user is represented by a customizable avatar. The Social VR experience also features spatial 3D audio. When a user turns to look at friend inside the virtual suite, his or her voice will become louder – allowing for multiple conversations to be carried on at once. Looking Ahead: How Will Social Factor into the VR Experience? According to Lorenceau, the Social VR feature will not necessarily become a standard element in every single LiveLike VR experience moving forward, but the company will look to incorporate it into as many sports properties as possible. The Fox Sports VR app can be enjoyed without any special VR equipment through the mobile-specific interactive 360-degree viewing experience built specifically for smartphone viewing, or with a Gear VR or cardboard headset. Fans can access this FOX Sports VR “virtual suite” by downloading and installing the free Fox Sports VR app and signing in with their television provider credentials.